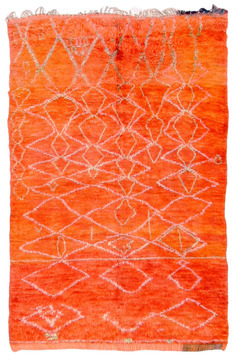 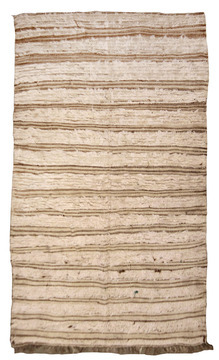 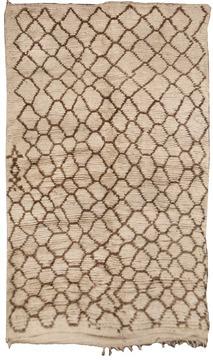 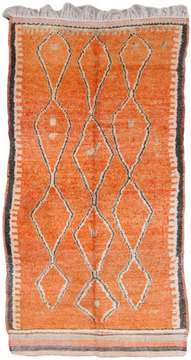 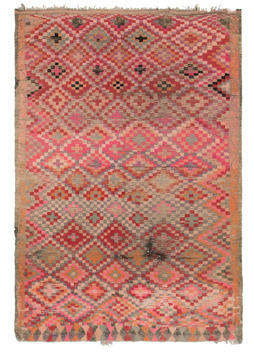 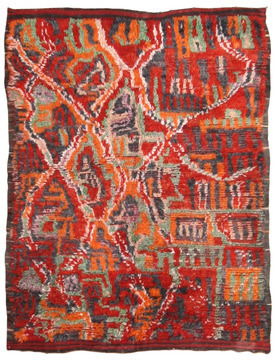 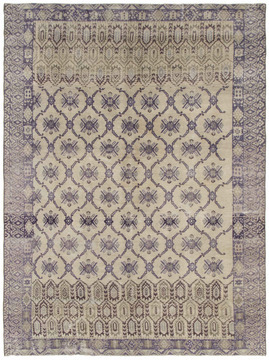 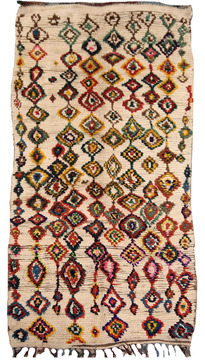 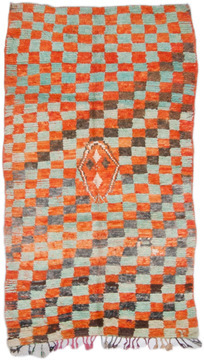 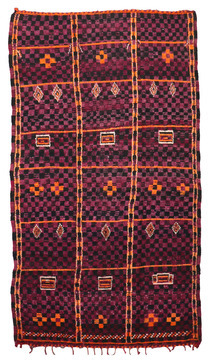 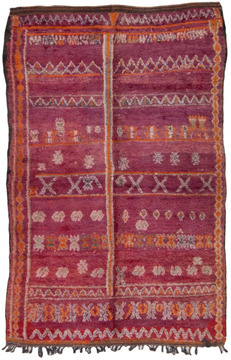 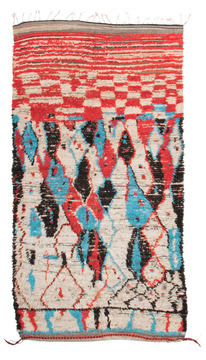 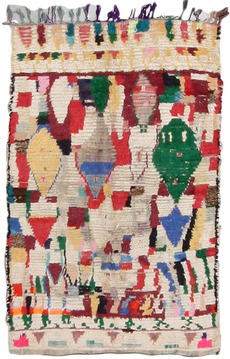 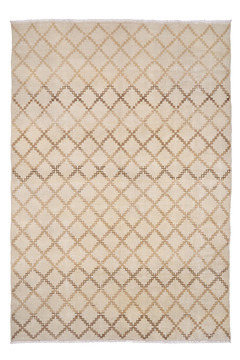 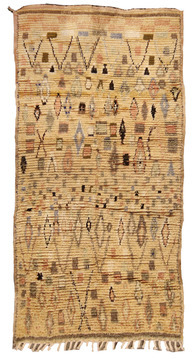 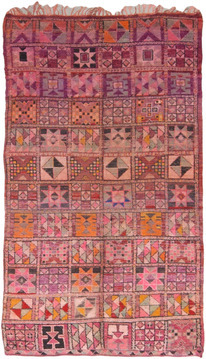 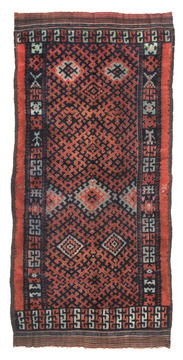 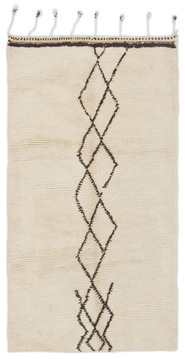 A delightfully designed Moroccan Vintage Rug. 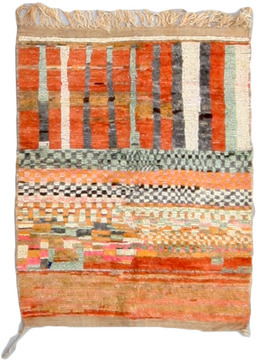 Straw, beige, brown, orange, red and blue. 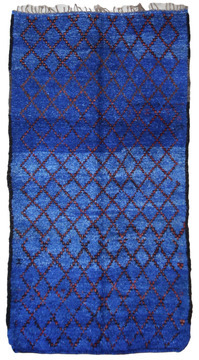 The rug presents columns of irregular loops and ovals. 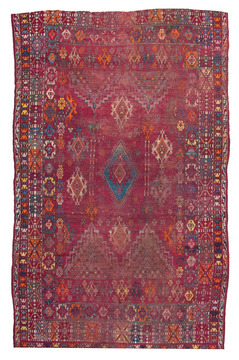 A palette of selected spring colors would be an interesting choice.